Create some invitations, a fun monkey cake or some cute monkey cupcakes and that will be a great start. Pick your color scheme, either one single color or a combination. Turquoise, periwinkle, byzantium, chartreuse, sapphire, azure.........I can't list them all that would be truly boring. Choose whatever color you'd like, you don't need to stick to the traditional pink or blue. 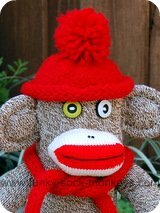 Make your very own cute sock monkey shower invitations or for those busy people, which includes just about everybody, invitations are available online. 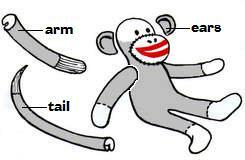 Sock monkey party packs include: dinner and dessert plates, spoons, knives, forks, cups, napkins, table cover, balloons, curling ribbon, confetti, foil balloon, crepe paper rolls, invitations and thank you notes. 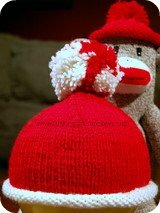 Sock Monkey gifts include, books, clothing, slippers, mittens and hats fun monkey bedding, sock monkey kit or a sock monkey toy. 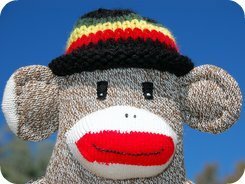 Our very own Funky-Sock-Monkeys-Store has sock monkey cards, clothing and gift items, keepsake boxes, mugs, baby wear, it might be worth a peek. 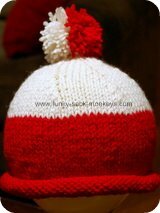 We have free sock monkey patterns and a free sock elephant pattern if you are wanting to make your own sock animal and a sock monkey gallery if you are wanting some ideas on getting creative with your homemade stuffed sock buddy.